We are tremendously thankful this holiday season to all of our readers for continuing to spread the word and support our operation through disseminating vital information to the public when it comes to not only natural health but everything that we cover here on NaturalSociety. 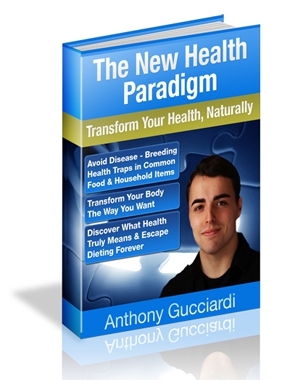 In a display of thanks, we’re making my top selling natural health book The New Health Paradigm 100% free to read for you and your family. It literally will not cost you a penny, and we encourage you to share it freely with others. (Note: for those currently subscribed to our newsletter we have sent out an email containing the links to the books — for those signing up please note it may take a short period of time for the book links to arrive in your inbox). The Extensive Food Additives Guide — the only guide I’m aware of that compiles problematic food additives in a uniform list that can help you while shopping. GMO Free Shopping Guide — learn how to spot GMO-containing products in addition to those that really don’t contain GMOs before you put them in your mouth! Healthy Supplement Guide — find out if your supplements contain natural of synthetic versions of nutrients and enhance your ability to distinguish the quality of a product for yourself before buying. I encourage you to check out both The New Health Paradigm and the free guides that come along with the book. At zero cost there is absolutely no risk, and you may even find it to be highly beneficial in overcoming health issues that inhibit you from living your life to the fullest. Google Plus Profile Anthony is an accomplished investigative journalist whose articles have appeared on top news sites and have been read by millions worldwide. Anthony's articles have been featured on top health & political websites read by millions worldwide such as Reuters, Yahoo News, MSNBC, and Bloomberg. Anthony is also a founding member of Natural Attitude, a leading developer of super high quality spagyric formulations.